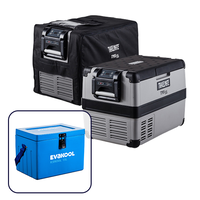 The Evakool TravelMate TMX portable fridge range is the perfect travel companion. 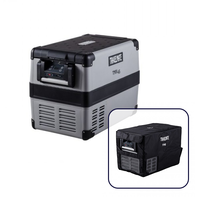 If you are looking for a relaible and easy to use fridge/freezer that you can take anywhere then look no further. The Travelmate TMX range is sutable for use on boats, in 4WD's and for caravanning and camping. 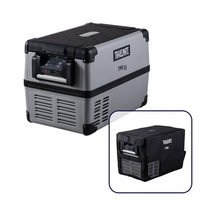 Featuring a Danfoss/Secop compressor technology with a rollbond evaporator, the Travelmate TMX range offers low power draw and is has quiet and efficient operation. 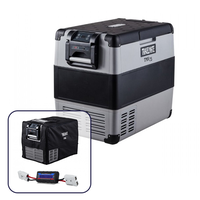 Evakool’s range of TMX portable fridge freezers has been designed from the ground up to suit the needs of the Australian traveller; whether it be boating, camping, fishing, 4wdíng or touring there is an option to suit you. 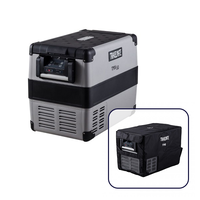 This range of Evakool portable fridge freezers feature the world renowned Secop refrigeration Compressor, internal LED’s for those after dark snacks, removable basket for easy usage, the unique lid that is both removable and reversable in less than 5 Seconds, 3 side and 3 end opening units; the Evakool TMX range of portable camping fridge freezers has you sorted.